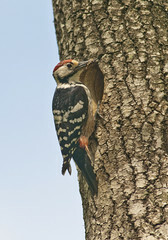 The White-backed Woodpecker is a scarce bird, requiring large, mature woods with plenty of dead wood. Numbers have decreased in Nordic countries. It is an indicator of high valuable (some of them protected) oak forests on southern Norway. 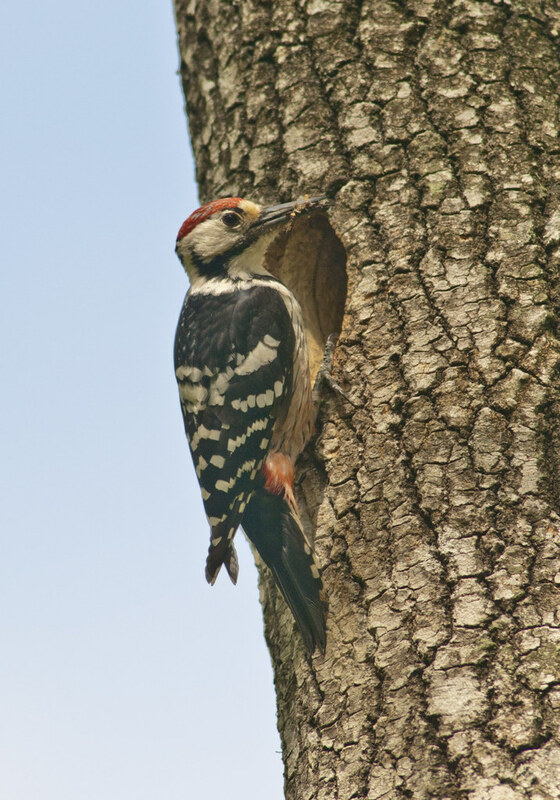 The white-backed woodpecker lives predominantly on wood-boring beetles as well as their larvae (see on photo), as well as other insects, nuts, seeds and berries.